SANTA MONICA, California – It can be difficult to fathom the uniformity and comfort of Californian weather. Blue, sunny, and cloudless skies mixed with perfect sunsets are the norm on this laid-back state perfectly positioned by mother nature herself. Let me put it this way. When Los Angeles gets rain, and I mean just a few hours of light rain, people begin to panic. “Can we still drive out there? Is school cancelled?” You start to wonder, does this beautiful weather remain special to local residents, or does it simply become a monotonous affair? No matter, it’s the perfect place to launch the new 2019 Volvo S60. 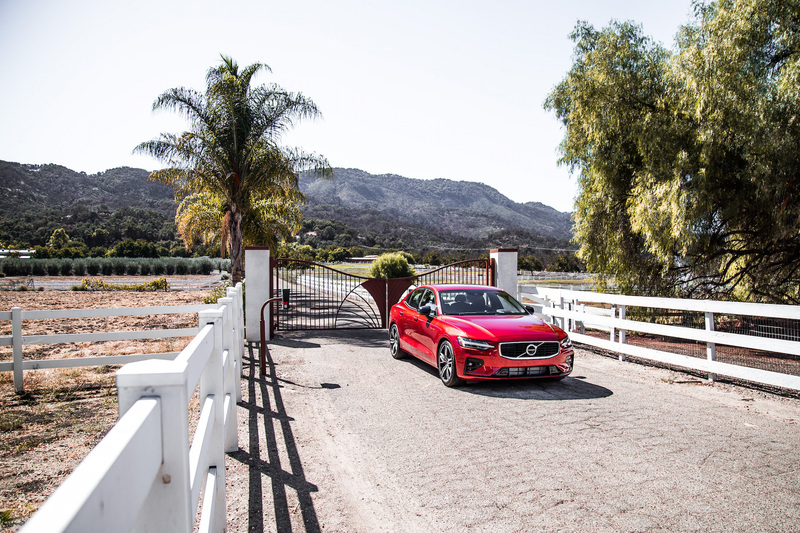 Los Angeles is brimming with beautiful switchback roads and curvy mountain passes - the perfect proving ground to test the new S60’s sporting intentions. And contrary to popular belief, this Swedish entry-level compact sedan is sportier than you might think. There are currently three S60 models on deck: S60 T5 FWD ($42,400), S60 T6 AWD ($47,400), and S60 T8 Polestar Engineered (pricing yet to be announced). The trim levels remain as Momentum, R-Design, and Inscription. The base T5 model is front-wheel drive only and comes with a 2.0-litre turbocharged inline-four pushing 250 hp and 258 lb-ft, while the T6 is all-wheel drive only and spruces up the four-pot with a supercharger and turbocharger for a respectable 316 hp and 295 lb-ft. The T8 is a plug-in hybrid, utilizing an electric motor with the latter engine to deliver a healthy 415 hp (328 hp + 87 hp). 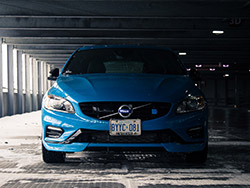 The T8 is currently only available in the Polestar Engineered package, but Volvo Canada promises a standalone T8 model in the future. 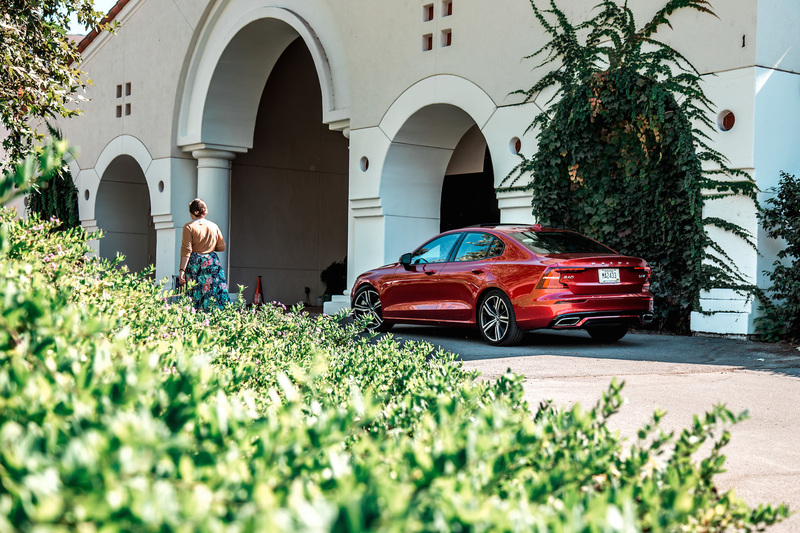 We were offered a host of preproduction S60 models to drive but without a T5 available, we eagerly started off with the T6 AWD R-Design in a bright Fusion Red paint that felt right at home basking in the glow of the Santa Monica sunrise. The Swedes sure know how to design a vehicle. 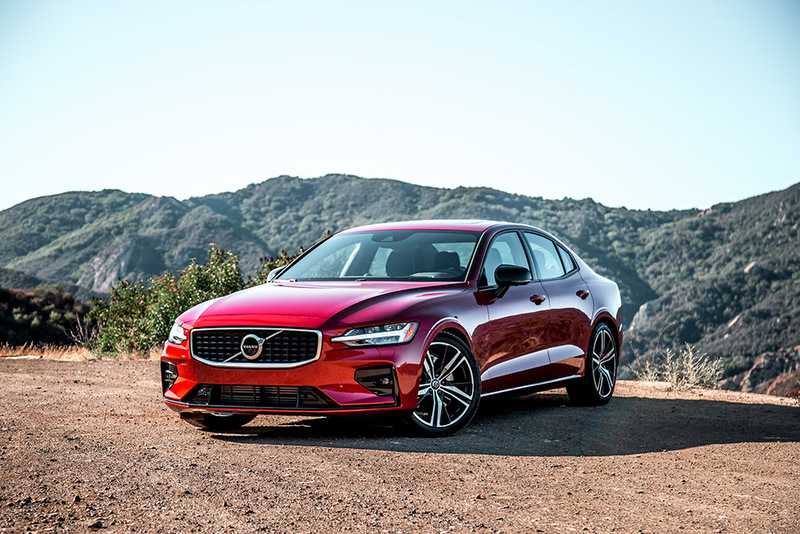 In my eyes, the S60 wears Volvo’s new design language the best. Think of an S90 but shrunken down into a more compact and better packaged silhouette. 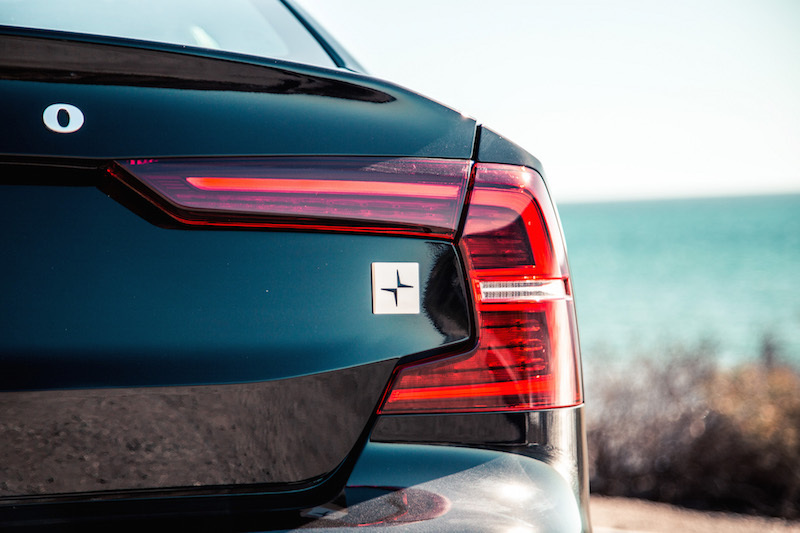 The Thor-hammer headlights are as stunning as ever, and the taillights are unique but ever-so refreshing in a luxury market filled with Teutonic and clinical entrants. 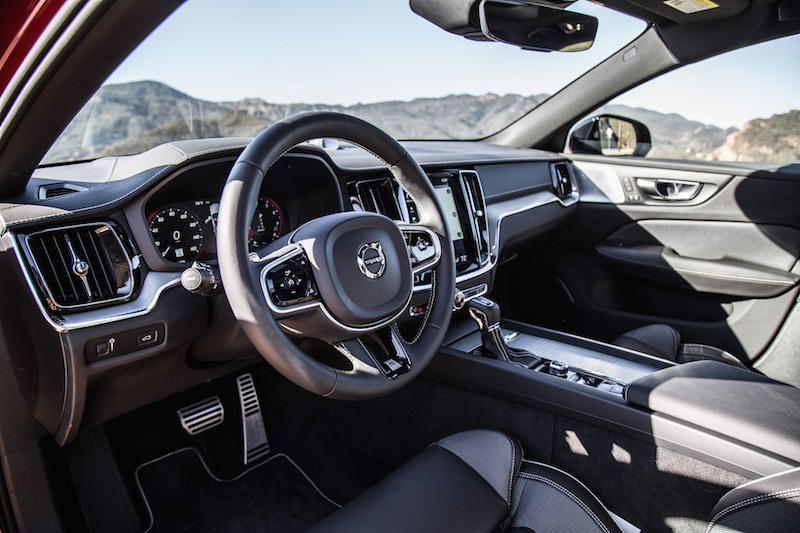 If you’ve driven a modern Volvo, then the S60’s minimalist cabin design will look familiar. 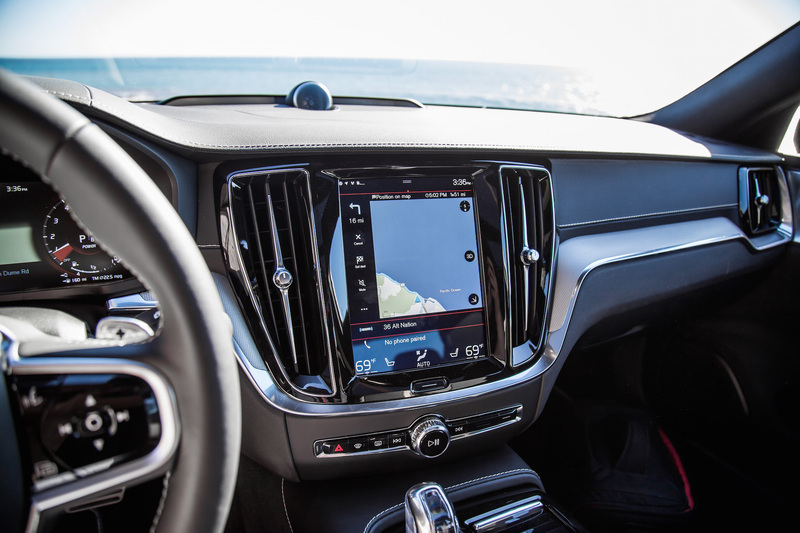 The gauges are all digital, the gear shifter is the same one you get in the S90, and plug-in T8 models receive the Orrefors crystal gear knob that we’ve come to love. 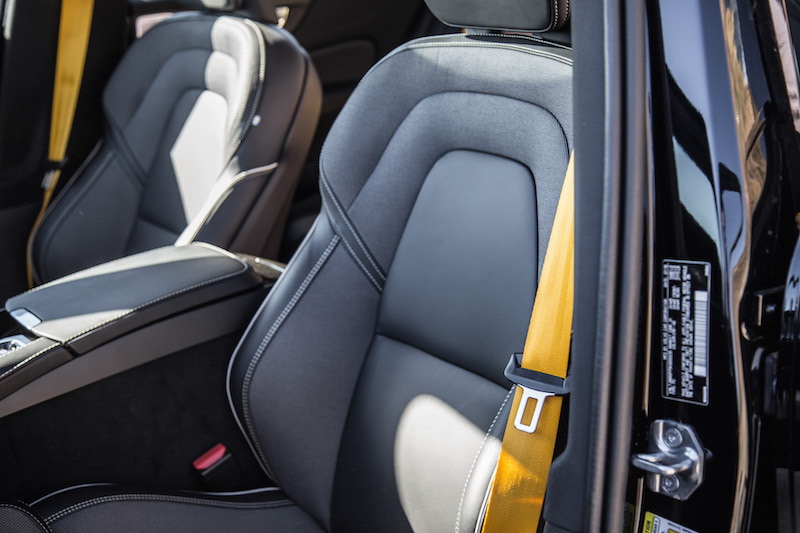 The gold seatbelts in the Polestar Engineered models are also a neat touch, as are the double paned windows. The large tablet-like infotainment display is still the star of the show. For 2019, they’ve added a faster processor to speed up the unit. Still, loading times can be slow and take a few seconds to register button commands. Once the computers warm up, response times are much faster. Surprisingly and one of the best features of the S60 are the back seats. Unlike competitors like the Genesis G70 and Infiniti Q50, these back seats are incredibly spacious and usable. I can sit behind my six-foot self with extra wiggle space for my head and legs. Out on celebrity-home-packed Mulholland Drive, the roads are filled with drool-worthy off-camber hairpins and rather frightening blind corners. 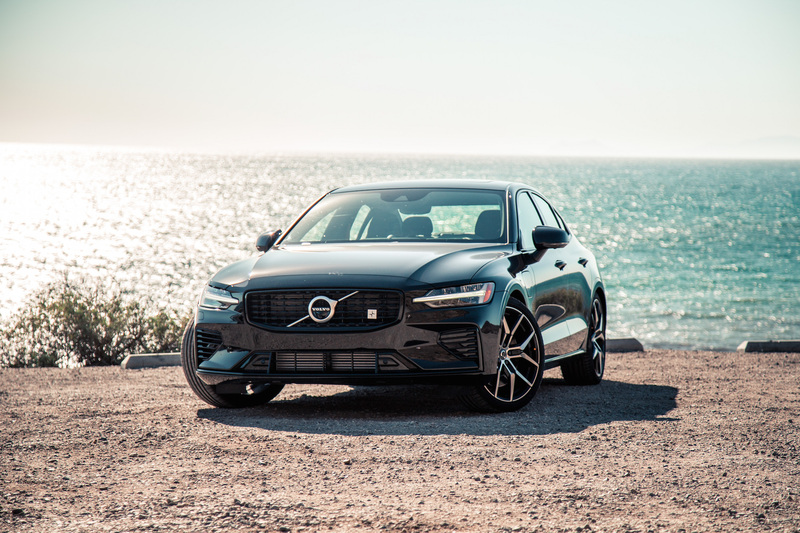 The S60, which rides on the same platform as the S90 and XC90, maintained its composure and showed off its stellar chassis tuning. The steering is what really stood out, and is the most improved component compared to other modern Volvos. 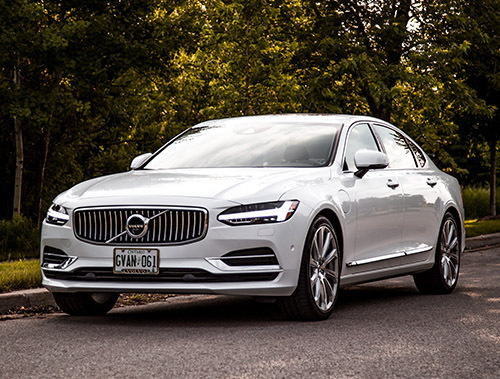 Not as electric or as vague feeling as the S90 or XC60, the S60’s steering offers organic and faithful weight build up under rotation. It delivers a clear telephone line to the front wheels, keeping the front nose lively and vigourous, an attribute the others were missing. The engine nary missed a beat either. With the supercharger taking care of low-end grunt while the turbo spools, this tag-team partnership offers excellent and above else, smooth, propulsion. 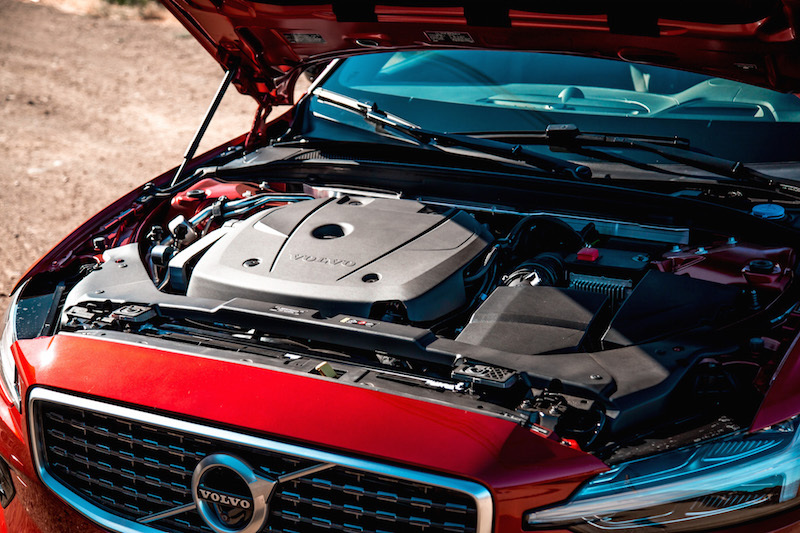 We’ve sampled this engine before in the S90 and XC90 where we always felt like it was at its limits and trying to catch its breath, but in this smaller sedan application, it feels right at home. There is barely any delay from pedal to forward motion, though the racket and whines from the engine are readily apparent and can come off as unrefined to some ears. That being said, the S60 T6 is not as composed as a BMW 3 Series at its limits. There’s a bit of body roll when taking corners at higher speeds, and there are no adjustable or adaptive dampers across the S60 board at all. 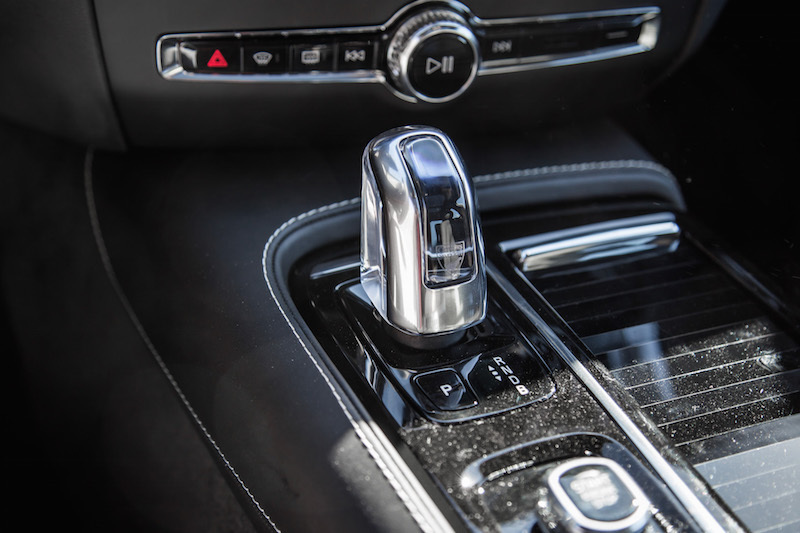 Furthermore, the gear shifts from the standard 8-speed automatic transmission, though smooth as they are when left to its own devices, do not provide the same snappy exchanges when summoning them via the paddles. I will be frank and say this is all just nitpicking on what I believe to be an excellent sports sedan. Out on challenging open roads, the S60 T6 proved its worth and willingness to comply to spirited driving. Looking at the S60 from a different lens, one focused on luxury and comfort, the S60 excels above most. When leisurely cruising around Sunset boulevard, the exchange of gear ratios and the marriage between powertrain and chassis go unnoticed, as do potholes and road imperfections. 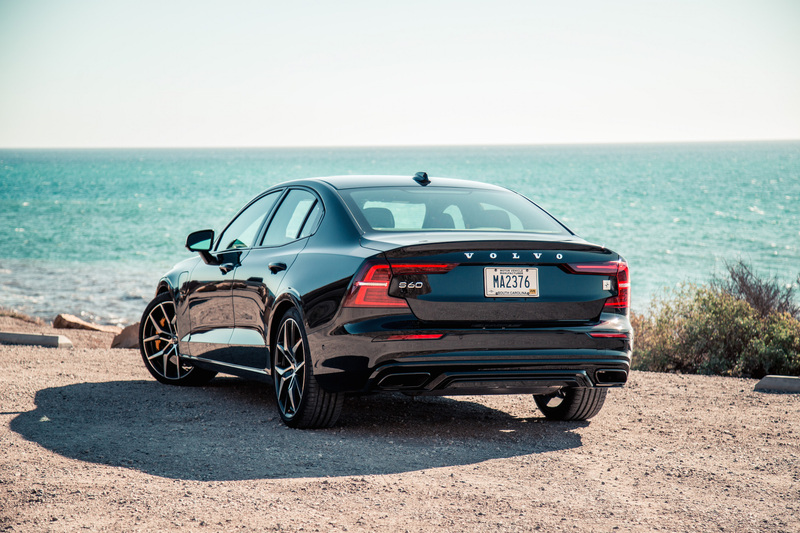 The S60 T6 does comfort better than performance, and that’s saying a lot. Next on the docket was the S60 T8 Polestar Engineered (PE). While it’s not a full-blown Polestar model like the one we tested before, this is the gateway bridging the two. Think of it like the M Performance models from BMW or 43-AMGs from Mercedes. Except in this case and for now, it’s exclusively paired with the T8 hybrid powertrain. 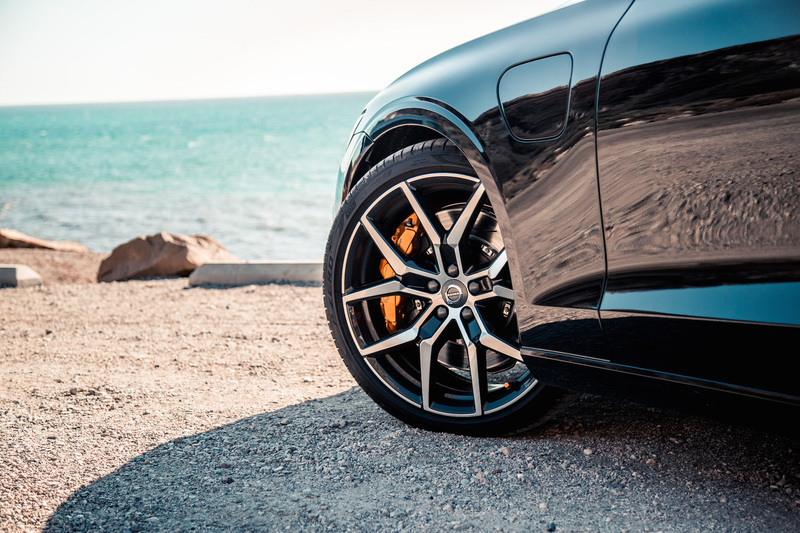 The PE also receives a handful of performance upgrades like manually adjustable Ohlins shock absorbers, larger Brembo brakes with calipers painted in gold, lightweight wheels, black exhaust pipes, golden seat belts, and of course, an ECU tune. 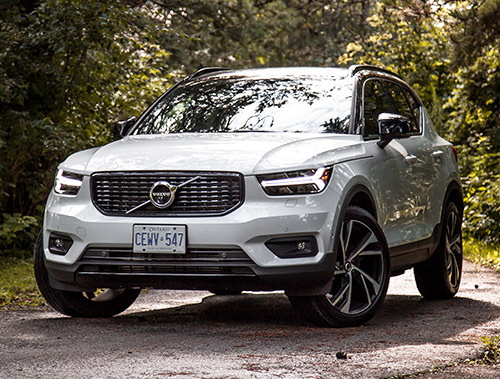 Later next year, the PE treatment will also be available on the V60 and XC60. While power is up from the T6, so is the weight. 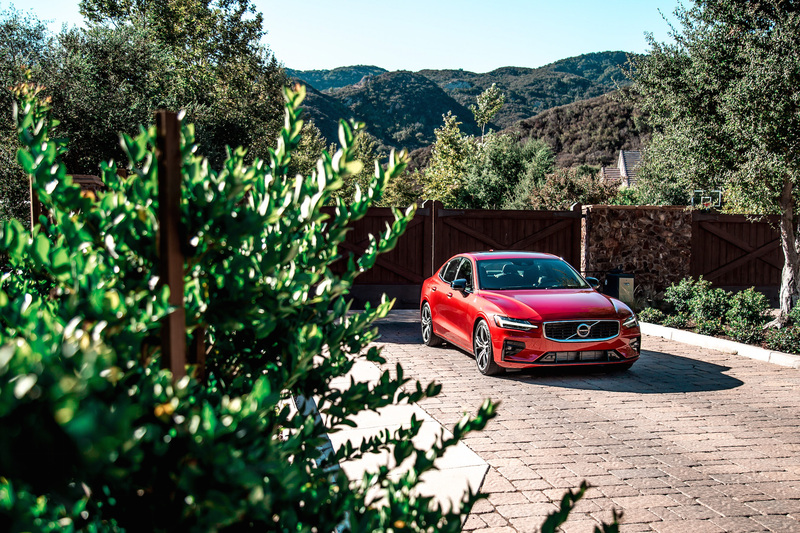 With all that instant electric power pushing the S60 off the line, you’d expect it to be breathtakingly quick but the weight truly drags it down. 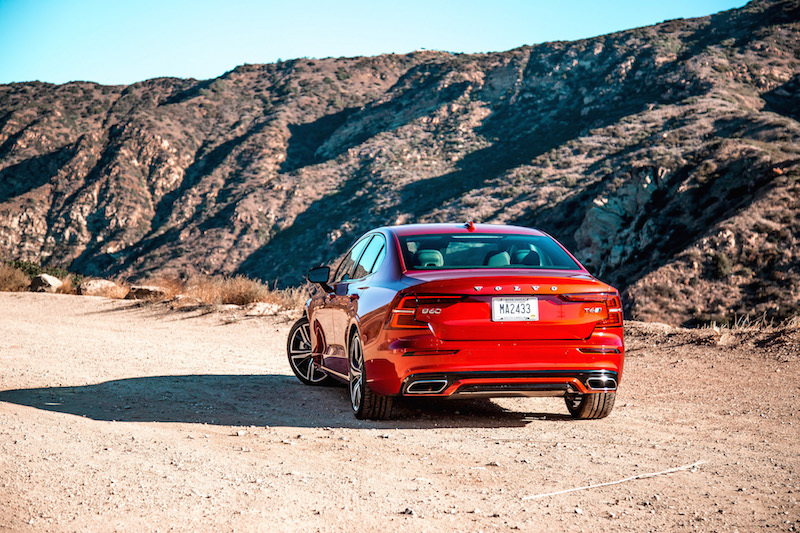 I’ll be honest and say it doesn’t feel like a 415-hp sedan, and doesn’t give off that same accelerative feeling as say, a BMW M3. That being said, the S60 PE is plenty fast and really comes alive in the low- and mid-range of the powerband where pickup is immense and surprisingly potent. 0-100 km/h comes in a respectable 4.7 seconds, compared to 5.6 seconds from the T6 AWD, and 6.5 seconds from the T5 FWD. The dampers are possibly the best part of the S60 PE, and are incredibly well-tuned for tackling LA’s famous mountain roads. Tight through corners and exhibiting nary a hint of body roll, I’d call it spritely and athletic, hiding much of the weight that bogged it down during straight-line acceleration maneuvers. The largest drawback is with the regenerative brakes. 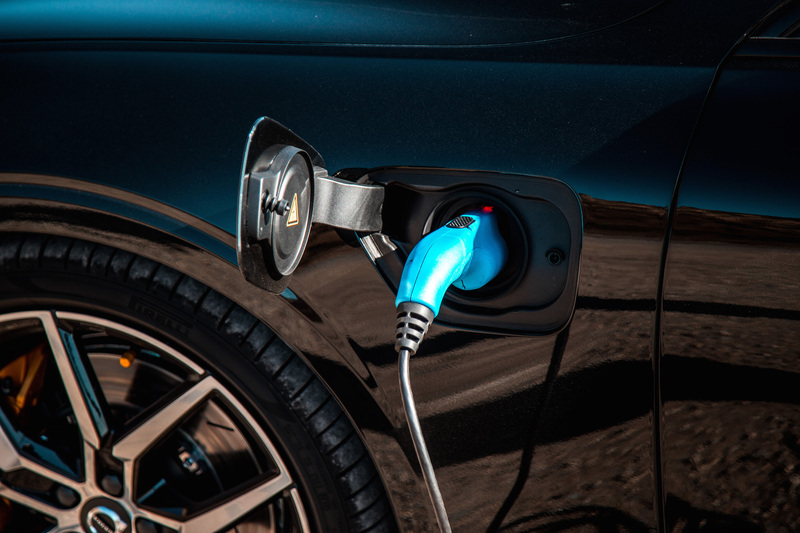 As with all hybrids, the brake pedals are utilized with electric motors to recuperate the kinetic energy produced under braking to recharge the battery supply. 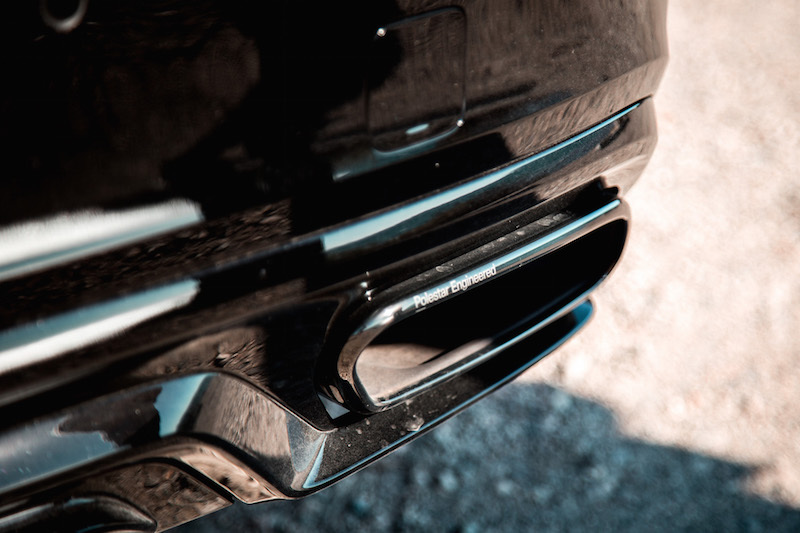 The result is a springy brake pedal that every automaker has struggled to perfect. The S60 PE is no different. The first 20% of the pedal depression is linear and predictable, but hit 21% and it goes full bananas. Make sure your items are all strapped in, as they will be flying out the windshield if you’re not delicate with the pedal. Even after a few hours behind the wheel, I couldn’t get used to modulating it to produce a smooth and linear halt to zero. 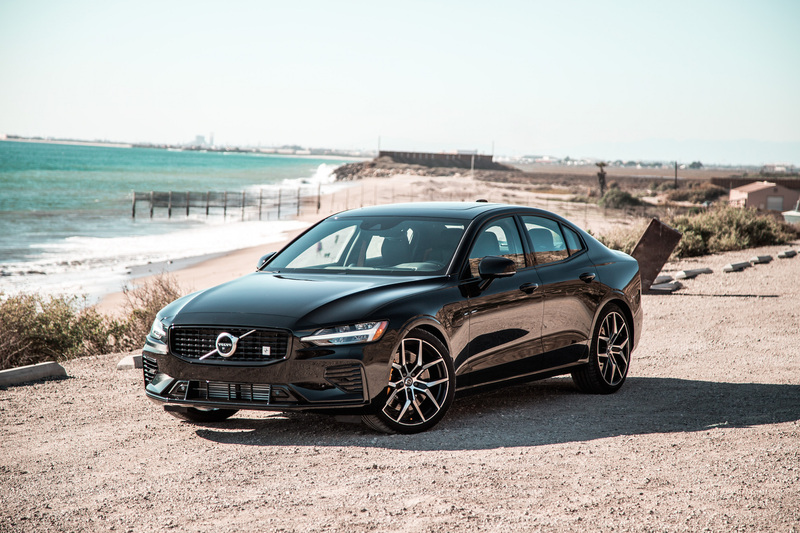 The S60 T8 Polestar Engineered is a wonderful addition to the sedan’s lineup, and really showcases what this platform and chassis is capable with. 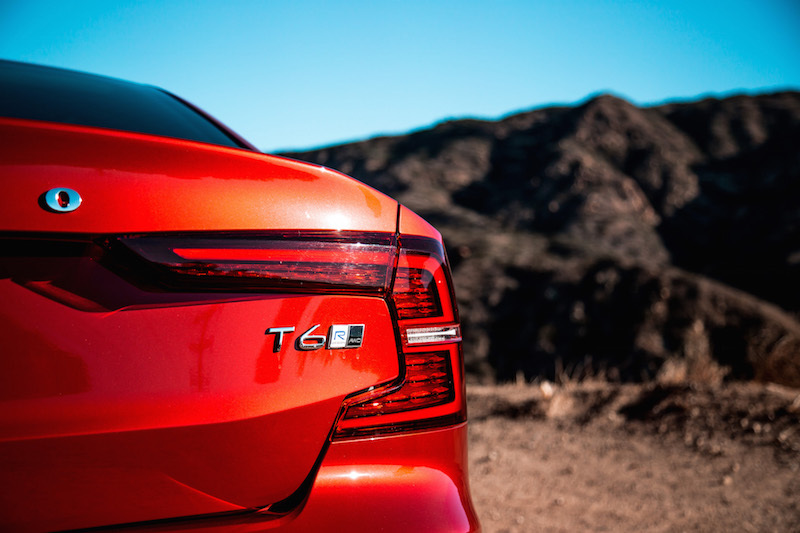 We can’t wait to see what happens with the full Polestar model but in the mean time, the T6 AWD was still our preferred choice on these roads. 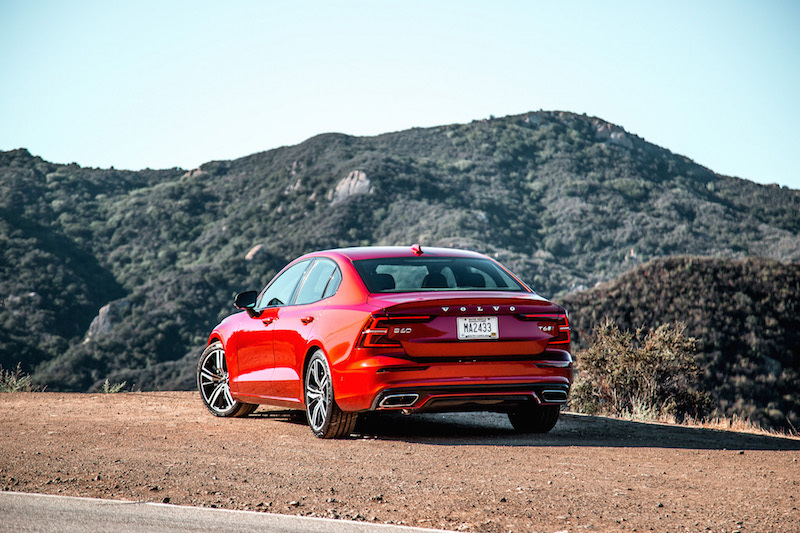 The front nose was more athletic and eager, and it actually felt like a 300-hp sedan. Come to think of it, the Polestar Engineered package would have been epic on the T6 AWD instead. We have our fingers crossed. 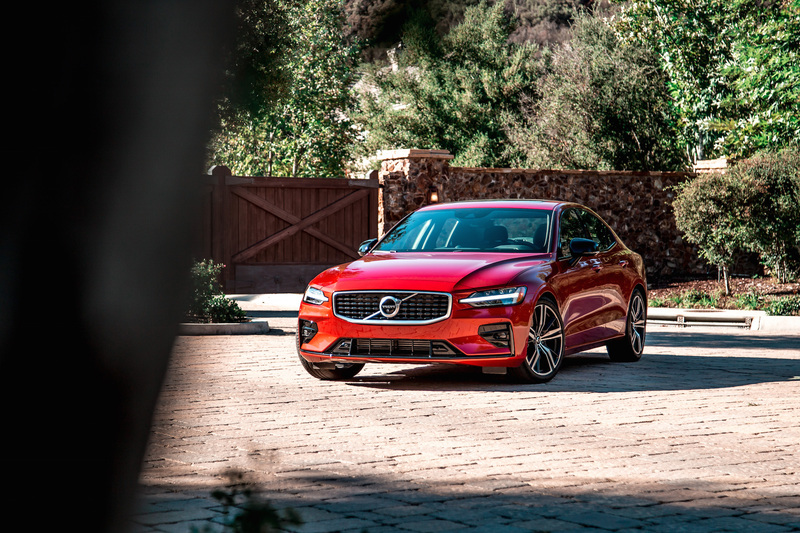 That doesn’t take away from the fact that the S60 is an impeccably proper compact sedan from the rather underrated Volvo brand. 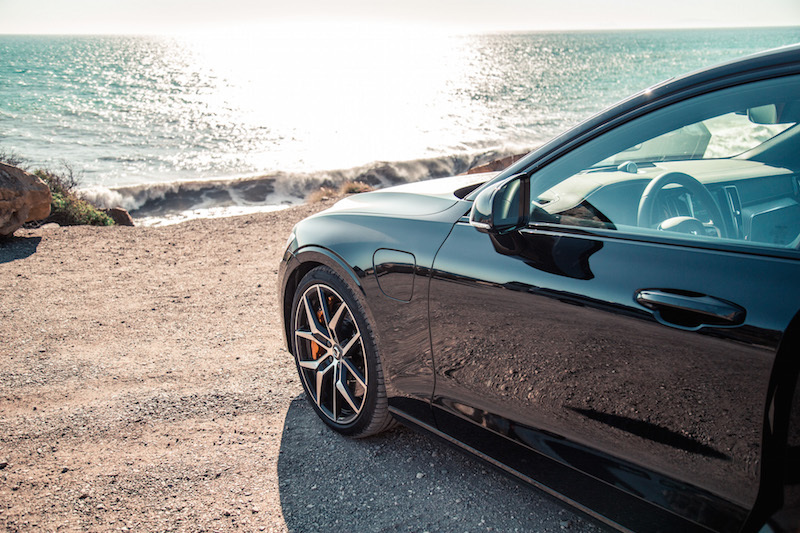 It’s sportier than we imagined and a welcome dancing partner on the mountains embedded within the Californian coast – that’s no easy feat. Just look at the comparative Genesis G70 or Infiniti Q50 Red Sport, both in their infancy as well but have failed to elicit any soul or sportiness in their drive. 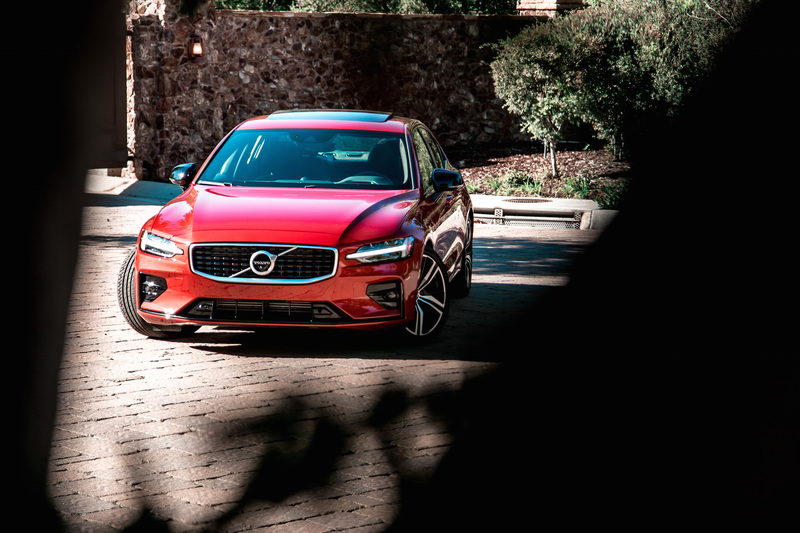 The S60 on the other hand balances both sport and comfort in a masterstroke of execution. Volvo won’t have any trouble selling these S60s. It’s got the looks, the drive, and the potential to stand amongst the giants.